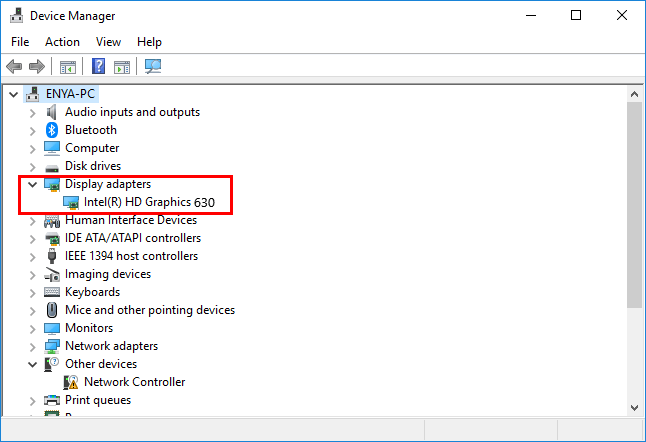 Update Intel HD Graphics 630 driver in Windows 10, 7, 8.1. Quickly & Easily! It’s always important to update your Intel HD Graphics 630 driver to make sure your graphics card is working properly and improve the overall computer performance. 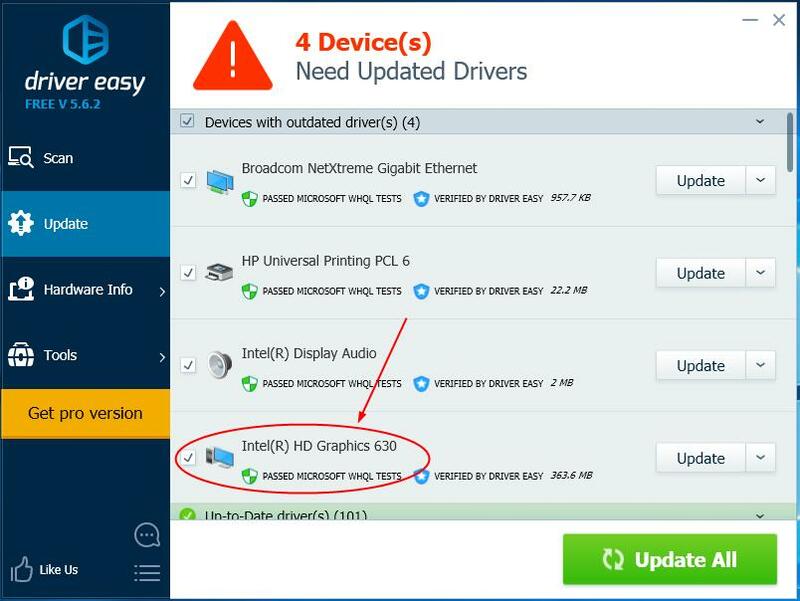 In this post, we’re going to show you 2 easy ways to update your Intel HD Graphics 630 driver. Click the Update button next to a flagged Intel HD Graphics 630 driver to automatically download and install the correct version of this driver (you can do this with the FREE version). Intel keeps updating drivers. 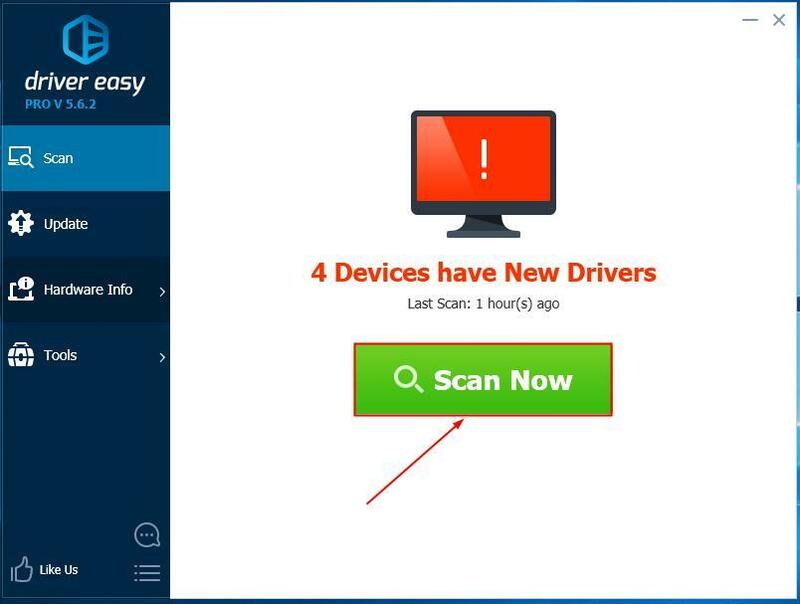 To get them, you need to go to Intel’s official website, find the drivers corresponding with your specific flavor of Windows version (for example, Windows 32 bit) and download the driver manually. Make sure you’re using Windows 10, 64-bit opertating system. Because it’s the only supported Windows variant for the Intel HD Graphics 630. Go to Intel Download center. 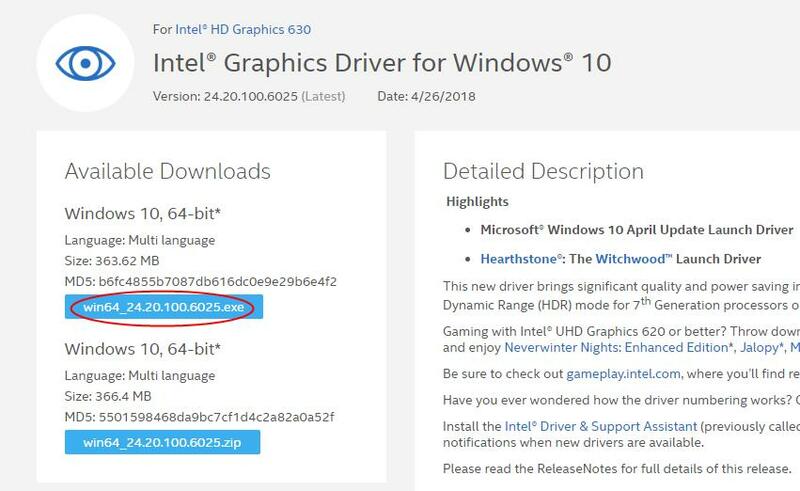 Click the first result in the table to make sure you download the most recent release (in my case, Intel® Graphics Driver for Windows® 10). Click the .exe file to download. Then double-click on the downloaded file and follow the on-screen instructions to finish the install.